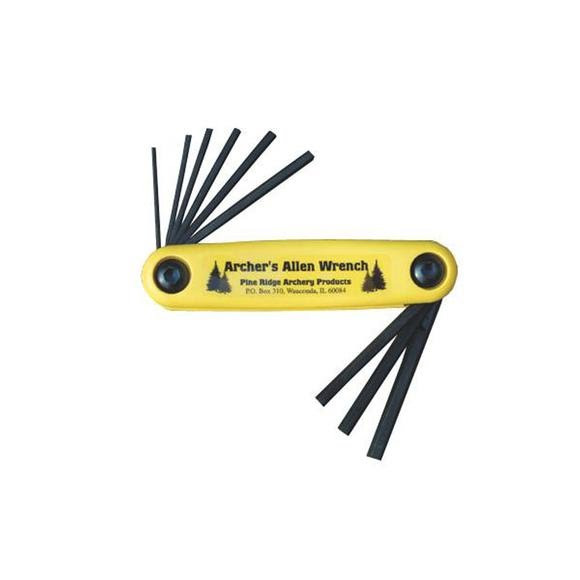 Pine Ridge Archery's Archers Allen Wrench set features heavy duty, one piece construction with a slip resistant finish and custom bolt and nut assembly: no more loose tools. This allen wrench set is Made in the U.S.A. and has top notch quality with 8650 industrial strength chrome vanadium tool steel. Pine Ridge Archery&apos;s Archers Allen Wrench set features heavy duty, one piece construction with a slip resistant finish and custom bolt and nut assembly: no more loose tools. This allen wrench set is Made in the U.S.A. and has top notch quality with 8650 industrial strength chrome vanadium tool steel.